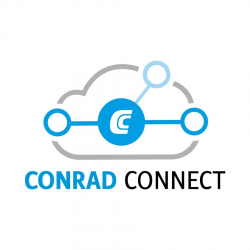 Conrad Connect is a part of Conrad Electronic, which is a German online retailer of electronic products based in Hirschau, Bavaria. The product range is focused on consumer and specialist electronics lines, including computing equipment, multimedia, modeling, home automation, tools, electronic components, batteries and power and motoring products. Due to our automatized shuttle technology we are able to send over 9 million parcels full of technical products to our customers in over 150 countries.